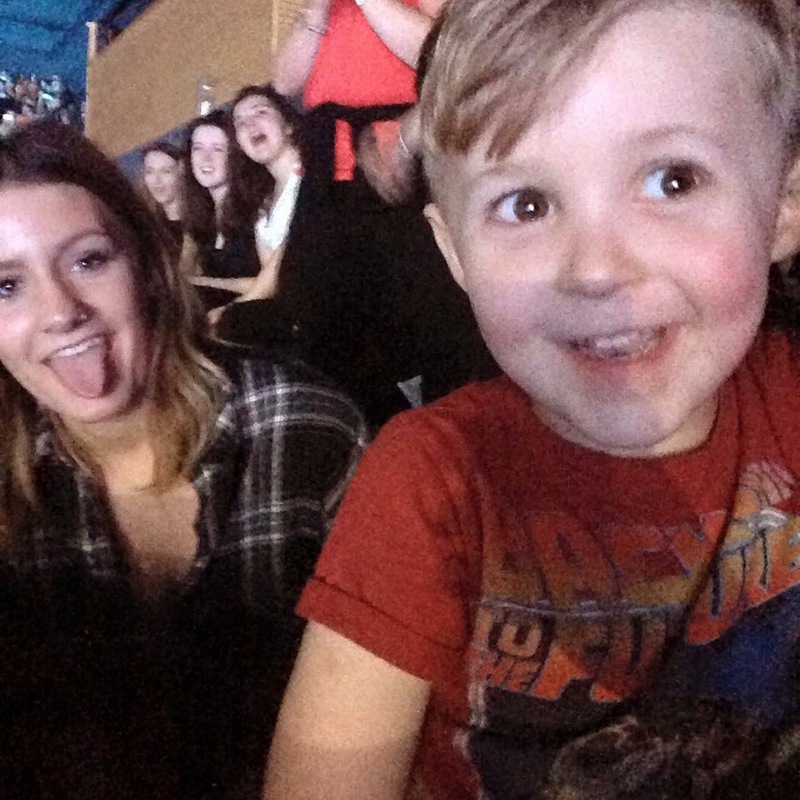 For his birthday, his Aunty Jess treated him to a ticket to see them in Bournemouth on Monday night! The wait for him was agonising but the day came round and he was bouncing off the walls. 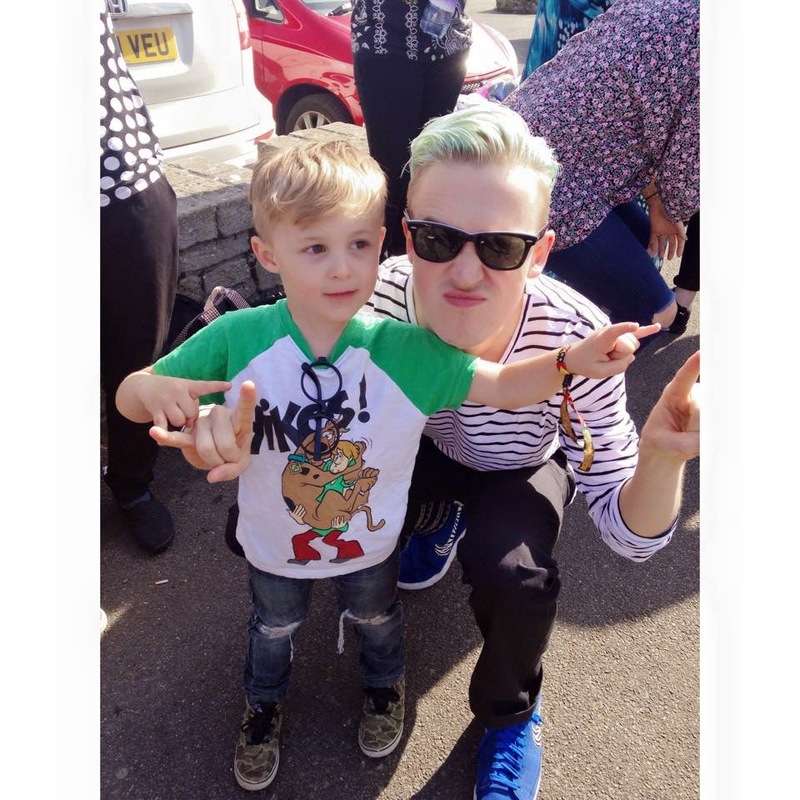 Having been to festivals and gigs before we knew he would love it and sure enough he did. The photo sums up how he looked the whole night! A face of glee and joy. Singing along to all the songs and headbanging in the appropriate parts. 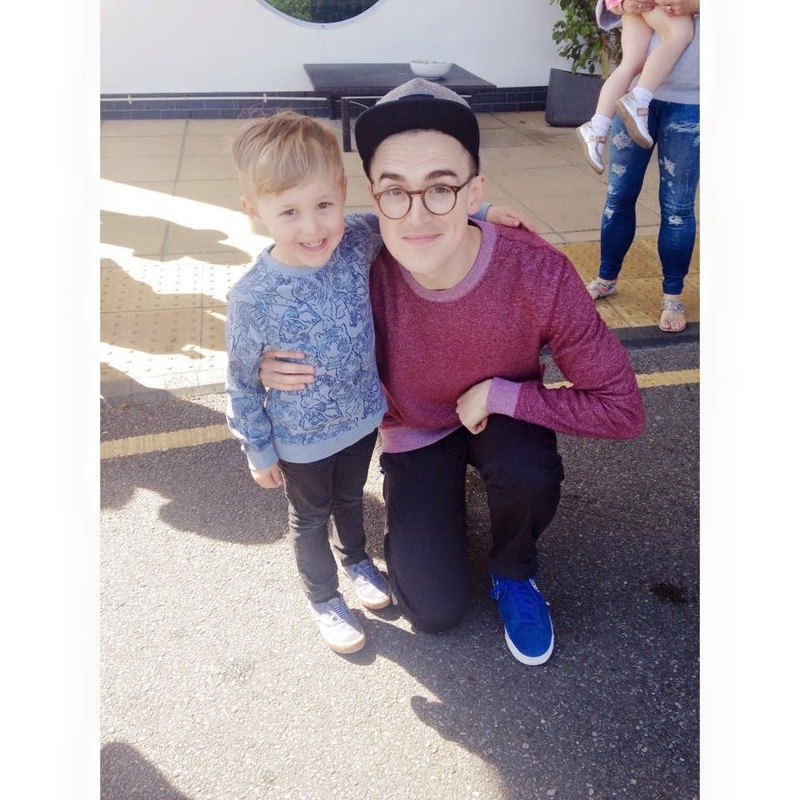 He yawned at the end but persevered ending the night by saying "I'm going to be on stage like that one day"
The next day we thought we would head over to the park, luckily we live right near the hotel where the boys stay so Max got the chance to meet Tom again! 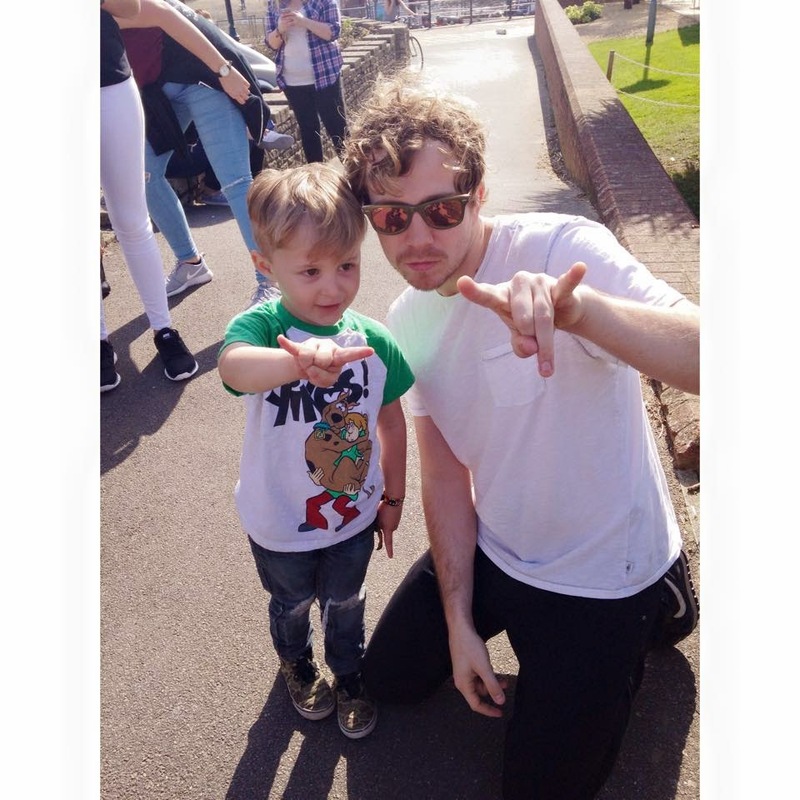 After loads of hugs and chats he told him that he went to the gig and loved it so much! As you can see he's pretty chuffed to meet his hero. 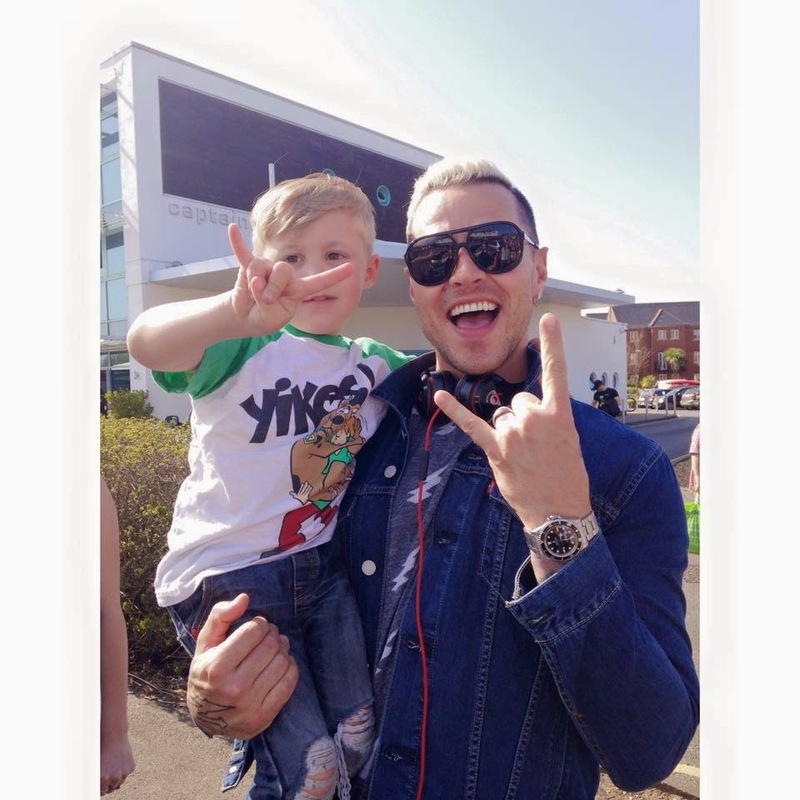 Most kids want to be a fireman or a princess, Max wants to be a rock star! 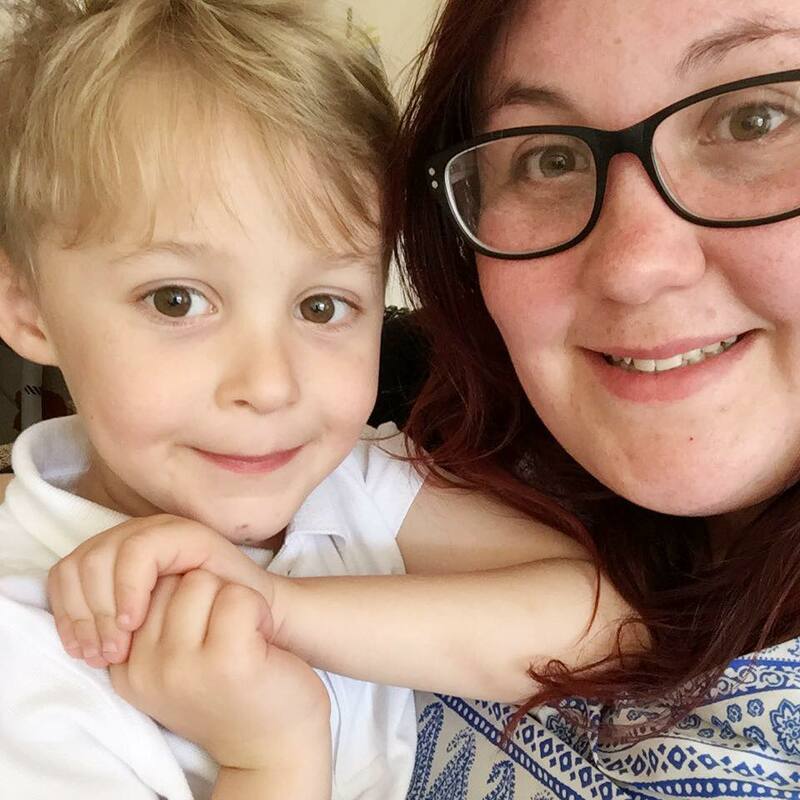 After rushing off to meet daddy I promised him that we could go back the next day and meet him and hopefully the others again (hopeful I know!). 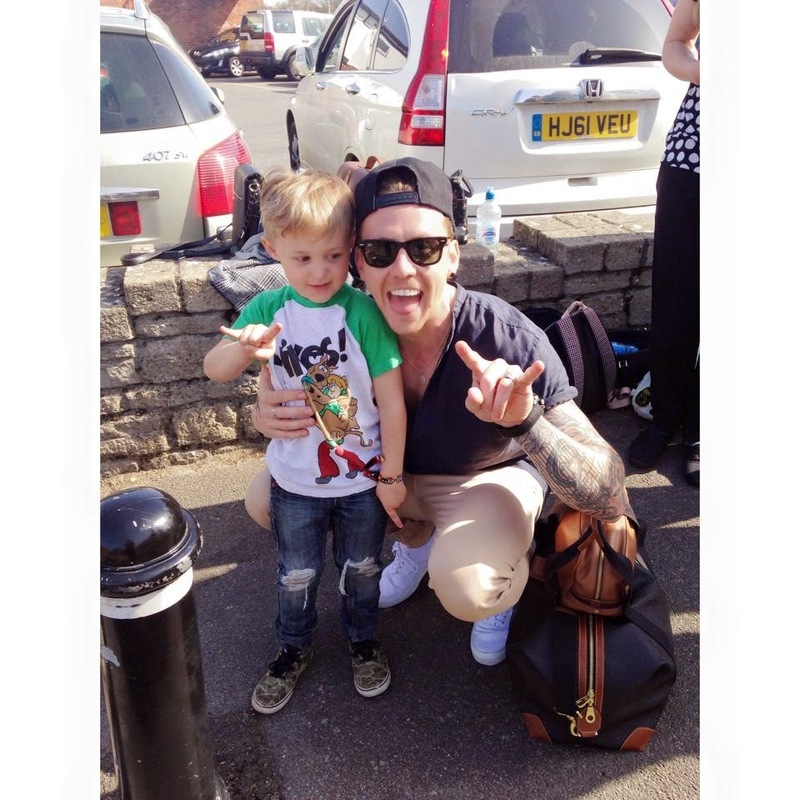 The boys were so good, spending time with Max, letting him talk and treating him like a true fan that he is. They seemed impressed that he knew the songs, went to the gig and wanted to be a rock star. We had a great chat with Matt about his use of swear words in songs (and then how kids say the funniest swear words!). Danny told him to call James lazy which resulted in a hilarious exchange between the three of them. Tom did a wee video for his vlog that featured Max and then spent ages with us talking about how Buzz has the same top as Max and how they are proper best mates now. It's amazing to see how much confidence Max has in front of these people that most can barely get a sentence out to. I want to thank them (even though they will probably never read this!) for being true gents with Max. 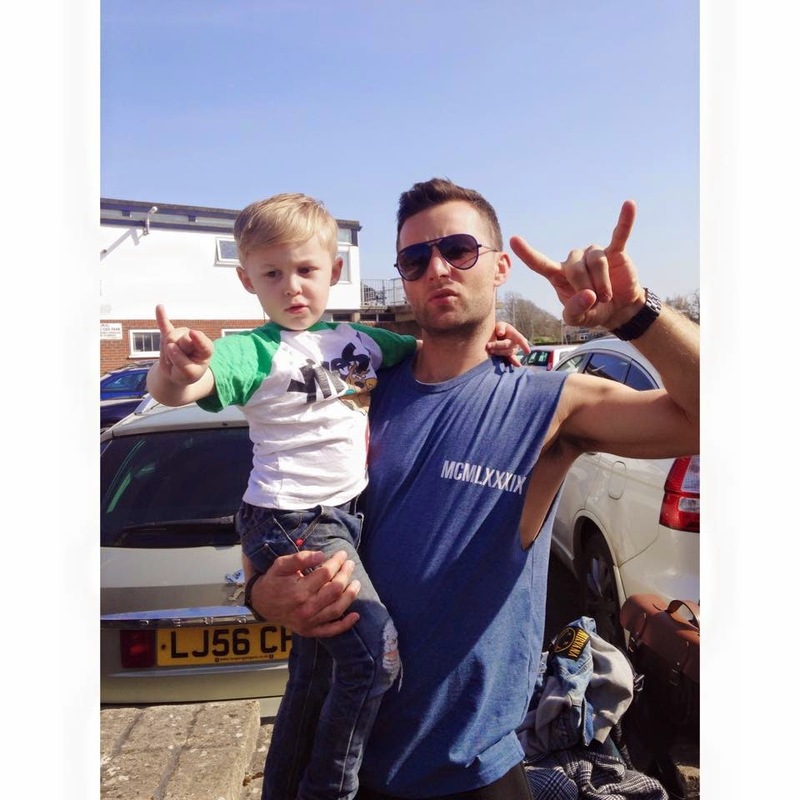 He's an over excited 4 year old that loves a band so much that he dreams about joining them on stage for a rendition of Stargirl. For creating music that me and him can love and enjoy together and (from now) go to shows together. Because let's face it, I won't be able to go without him! 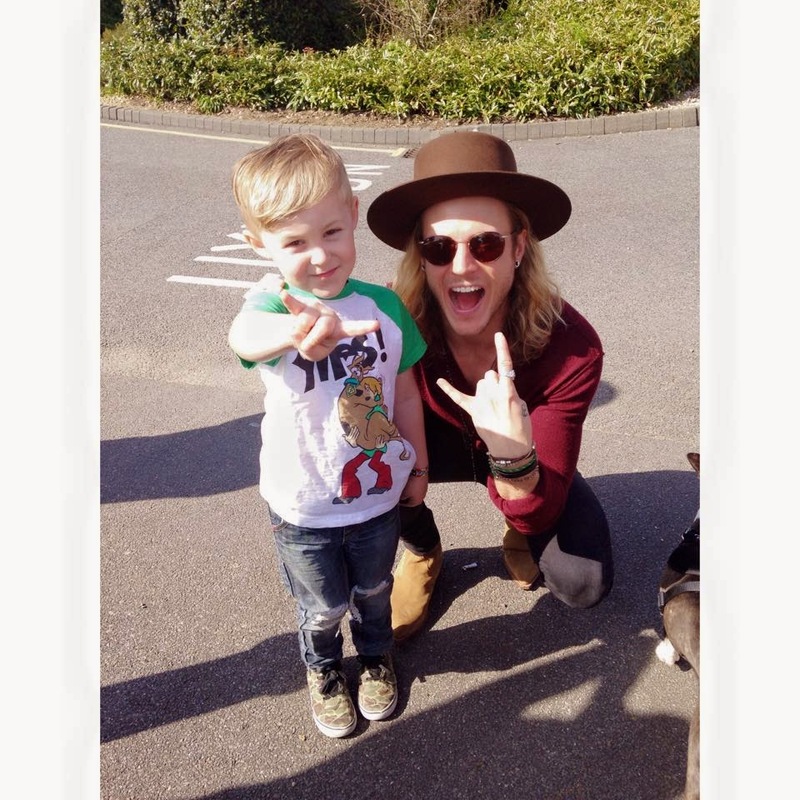 How lovely that Mcbusted treat their little fans well! Max looks delighted. They have gone up in my estimation.